Climate change has become one of the biggest challenges of the 21st century. Whereas, climate change is considered to be a global problem that requires global solution, the needs of community in relation to climate change cannot be ignored if SDG Goal 13 is to be achieved. Local communities are heavily impacted by climate change due to their reliance on natural resources for their livelihoods. Key to note is that climate change does not affect women in the same way. Women make up a large percentage of poor communities in the county that rely on natural resources (agriculture, charcoal burning) for their livelihoods. Existing gender inequalities discriminatory practices such as limited access to productive assets such as land, forest, limited or no access to financial resources affects women capacity to combat with the impacts of climate change. Heavy burden of unpaid care work such as fetching water and firewood falls disproportionately on women and girls exacerbating the impacts of climate change on them. Over the years, women have been regarded as helpless victim of climate change and have faced discrimination in decision making process. 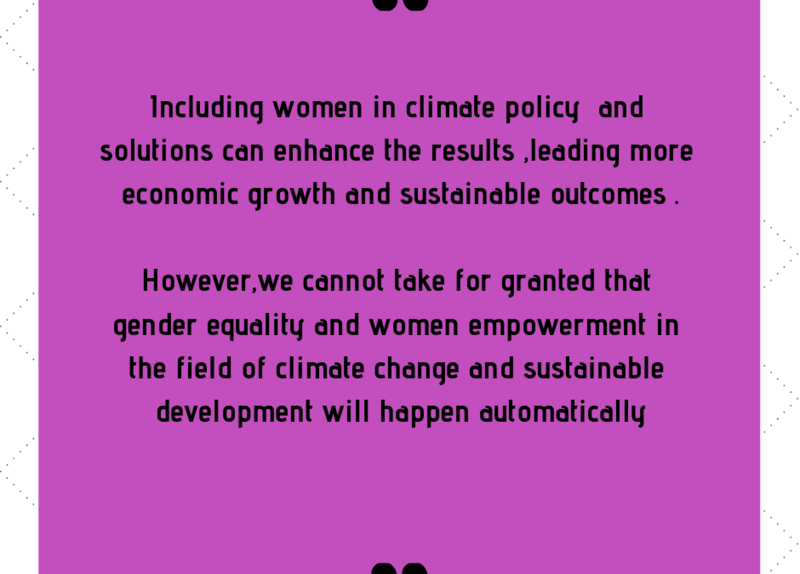 In this regards, GROOTS Kenya has been working towards Changing this narrative acknowledging that women are not just helpless victims of climate change but powerful agents of change and their knowledge and leadership is critical in the fights against the impacts of climate change. For instance, GROOTS Kenya supported Laikipia grassroots champion to conduct a community mapping exercise. The preliminary gap analysis from the community mapping and stakeholder consultations indicated that the county lack sufficient climate change policy framework, minimal or lack of climate change mainstreaming on county development and low investment on climate proofed infrastructure. Through wide public consultation based on the findings of the community mapping report, 2018-2022 CIDP captured numerous adaptation and mitigation practices. Additionally, GROOTS Kenya, Heinrich Boll Stiftung and Laikipia County Department of Water, Environment and natural resources co-hosted a high level political dialogue on the draft climate change policy. The climate change policy was formulated through public and stakeholders consultations and peer review from climate change experts. These achievements have been as a result of advocacy initiatives by grassroots women and men and local partners in Laikipia. This therefore underscore that gender equality is an important precondition for successful climate change adaptation and mitigation responses and equitable social development.